Chain of Hope is out in the community 7 days a week, helping low income pet owners with their animals. Many of our calls are about stray animals, animals left behind when someone moves, animals that are injured and scared or animals that have been dumped. Many of these animals are very frightened, don’t know who to trust and they hide somewhere where they feel safe. It can be challenging to capture these animals so that we can provide them the love and care that they need. Oftentimes, we must set a trap. It’s the only way to finally save them. Over the years, Chain of Hope has trapped and saved numerous animals that otherwise would maybe die alone, get hit by a car, attacked by other animals, starve to death, etc. There are so many bad things that can happen to an animal left on it’s own to try and survive. 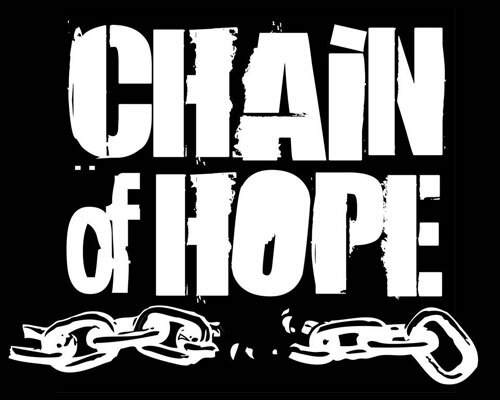 Chain of Hope has been in the community for over 8 years. Our traps have been put to the test and they are old and breaking down. They have taken a beating from trapped animals that did not want to be in the trap and were destructive. We repair them as we go. Every time that we set a trap, we hope that it will still work because that means that an animal that desperately needs our help can be rescued. Traps are a very necessary piece of equipment that we must have at our disposal when needed. We have saved mommas with litters of puppies when mommas are hunkered down and hiding in the woods, for example. We’ve trapped animals with broken legs, embedded collars, mange and a variety of other issues that otherwise would not have received help. We also have a spay/neuter program for feral cats and they must be trapped in order to get them to the vet and have them altered. This is so very important to try and get on top of the massive overpopulation of feral cats in our community. Our cat traps have been repaired and are very old. It has come time to replace our traps. 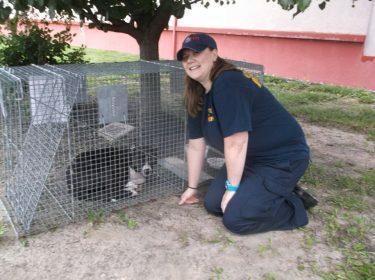 They are not cheap, but are so necessary to save lives and truly make a difference for the animals in our city. A large, heavy duty, good quality dog trap averages around $400. Medium sized dog traps run around $200 and cat traps run about $75 each. We would like to raise $1,000 to be able to purchase 2 new large dog traps, a medium sized dog trap and several cat traps. We invite you to help us raise the funds for these traps so that Chain of Hope can continue saving lives in the inner city. 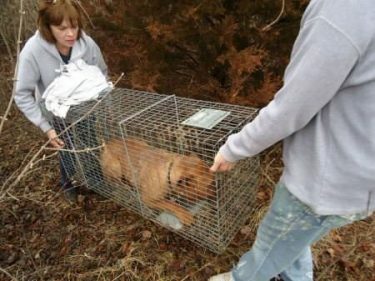 When there’s no other way to save an animal except trapping it, Chain of Hope puts a lot of time and effort into setting traps, watching them and then finally transporting that animal to a veterinarian. Traps really are life savers!